After having heard about this Natural Aqua Gel Cure, I was made hopeful that I will finally be able to reverse the effect of the previous beauty product that I have been using for a month now. 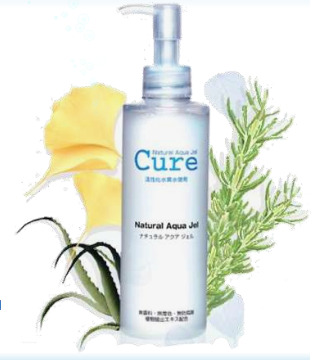 Natural Aqua Gel Cure originated from Japan and has been making waves for the past 7 years. The challenge is, Natural Aqua Gel Cure is not yet readily available in our regular drugstores locally. This raved about product is made of 90% revitalized hydrogen water and natual plant extracts of aloe vera. It is safe to be used even by pregnant women. Now, you can’t be more natural than that. And boy, do I love everything natural. It’s the best way to go. It doesn’t contain preservatives, fragrance or artificial ingredients.